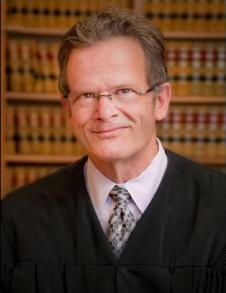 SAN FRANCISCO—Chief Justice Tani G. Cantil-Sakauye today announced that Judge Gary Nadler of the Superior Court of Sonoma County has been appointed to the Judicial Council. Judge Nadler replaces Judge Sherrill Ellsworth, who is retiring. Judge Nadler’s term is effective March 1, 2014 through September 14, 2015. Currently assigned to the civil division of the Superior Court of Sonoma County, Judge Nadler served as its presiding judge from 2009 to 2011. Since his appointment to the bench in 2002, he has served on a number of Judicial Council committees and task forces. He is currently a member of the Trial Court Facility Modification Advisory Committee, which oversees judicial branch facilities improvements and maintenance. He has also been actively involved in judicial branch technology oversight and planning, serving on the Court Technology Advisory Committee from 2009 to 2013 and on its Technology Planning Task Force in 2013. Judge Nadler has been an executive committee member of Trial Court Presiding Judges Advisory Committee (2008–2011) and served on the Trial Court Budget Working Group from 2010 to 2011. He served on the council’s Advisory Committee on Financial Accountability and Efficiency for the Judicial Branch (2011–2012). Judge Nadler also provides leadership in the area of judicial education. He has served on the Civil Law Education Committee for the Center for Judiciary Education and Research since 2005. He teaches extensively in continuing education for California judges, including new judges, serving as a faculty member for the Bernard E. Witkin Judicial College, the annual two-week program for new judges. A co-author of California Discovery Handbook, he has authored action guides relating to civil discovery for the Continuing Education of the Bar. Judge Nadler is also a long-standing adjunct professor at the University of San Francisco School of Law, from which he received his law degree. Active in the California Judges Association, he currently serves on its government relations committee.